How Do You Get To Churchill Wild? This is Part Three of my adventures walking with Polar Bears with Churchill Wild at Nanuk Polar Bear Lodge. Click to read Part One and Two. Are you wondering how to visit the Polar Bears? See my videos below for the steps to get from Los Angeles to Nanuk Polar Bear Lodge. 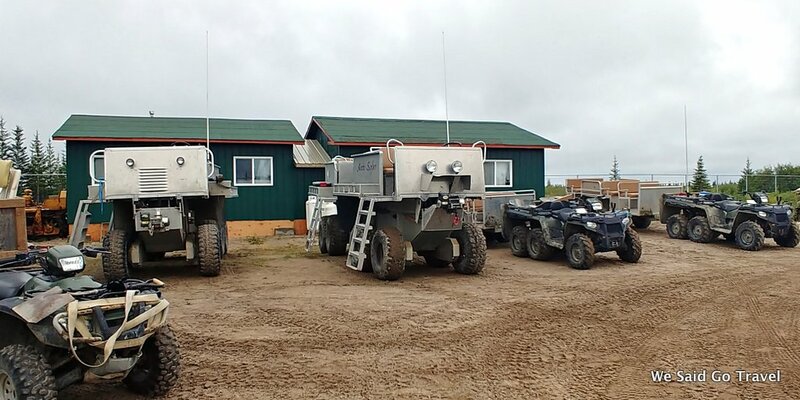 Video #7: How do you get to Nanuk Polar Bear Lodge? 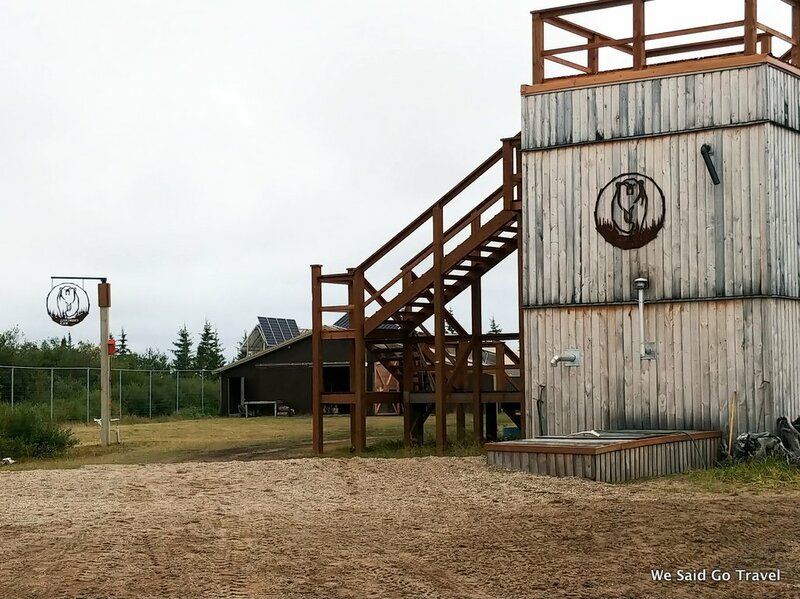 At Churchill Wild, you can walk with the polar bears. I flew from Los Angeles to Vancouver, then Vancouver to Winnipeg and stayed overnight at The Grand Hotel across from the terminal. My first night I had dinner with another writer, Shel at the Blue Marble. I met my group at the hotel the next day. We had an orientation meeting and dinner at the hotel and in the morning woke up and walked back across theto the airport. 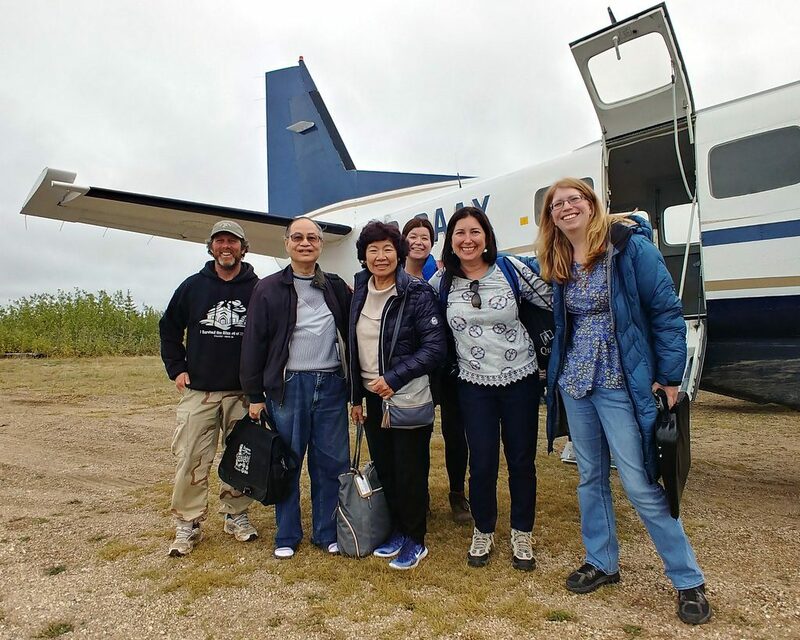 We flew from Winnipeg to Churchill and then took a Cessna flight up to Nanuk Polar Bear Lodge by York Factory and Hudson Bay. I was so excited to glimpse our home from the air and we saw polar bears too. There are 8 rooms at the lodge. We put out bags in our rooms and went to get our boots and jackets to get ready for our first ride on the arctic rhinos and go exploring. 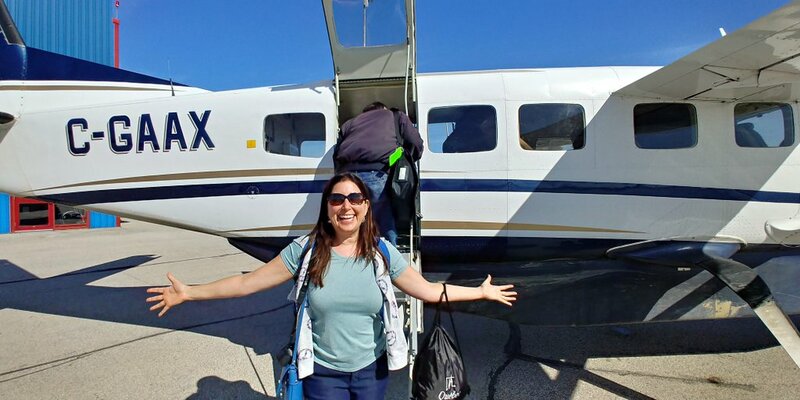 Enjoy the views and fly with me from Nanuk Polar Bear Lodge to Churchill. I sat front right seat and took as much video as I could to share with you! Video #9: Do you want to see POLAR BEARS? 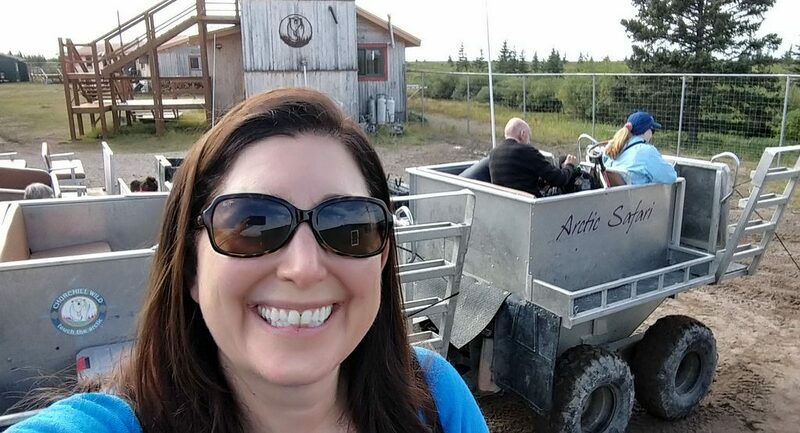 Walking with Polar Bears September 2018 with Lisa Niver. Please enjoy my videos of polar bears from my trip to Nanuk Polar Bears Lodge. Video #10: Do you want to see WOLVES? Walking with Wolves September 2018 with Lisa Niver. Please enjoy my video of wolves from my trip to Nanuk Polar Bears Lodge. 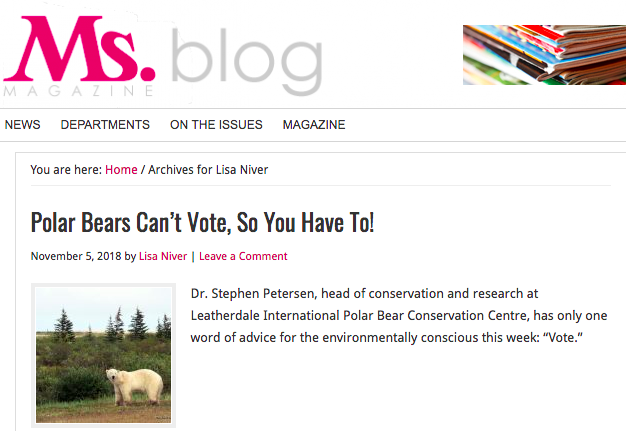 On Ms Magazine: Polar Bears Can’t Vote, So You Have To!